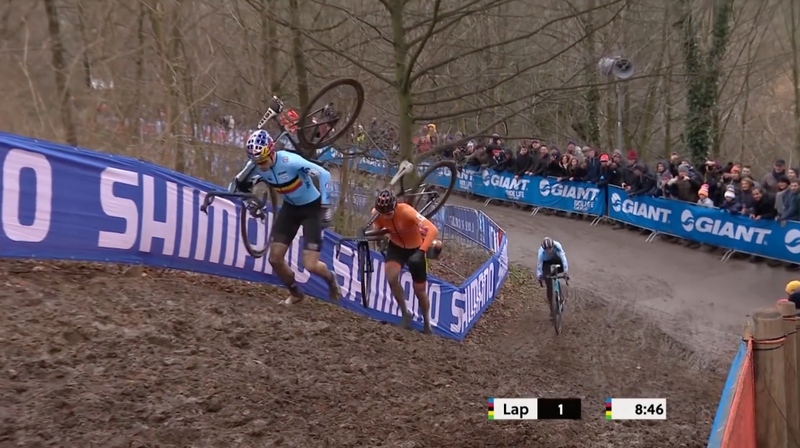 Van Aert (L) literally ran away from Van Der Poel early in the race and never looked back. 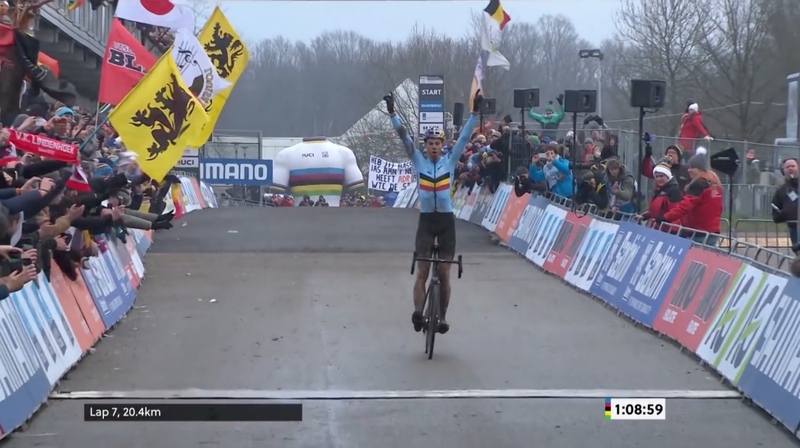 On a weekend that will be remembered as much for mud and cold as who the eventual winners were, it was the Belgian duo of Wout Van Aert and Sanne Cant taking home rainbow jerseys in the men’s and women’s elite races at the UCI cyclocross world championships in Valkenburg, the Netherlands. Each victory was a repeat of last year’s outcome, with Cant now a two-time defending champion, and Van Aert upping his world’s win streak to three. Compton (R) stayed close — and often ahead — of Cant until the waning laps of the race. 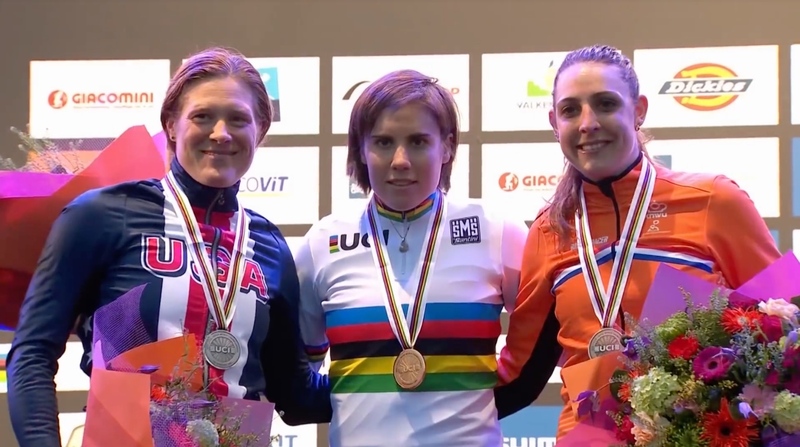 In the women’s race American Katie Compton and Dutchwoman Lucinda Brand completed the podium. 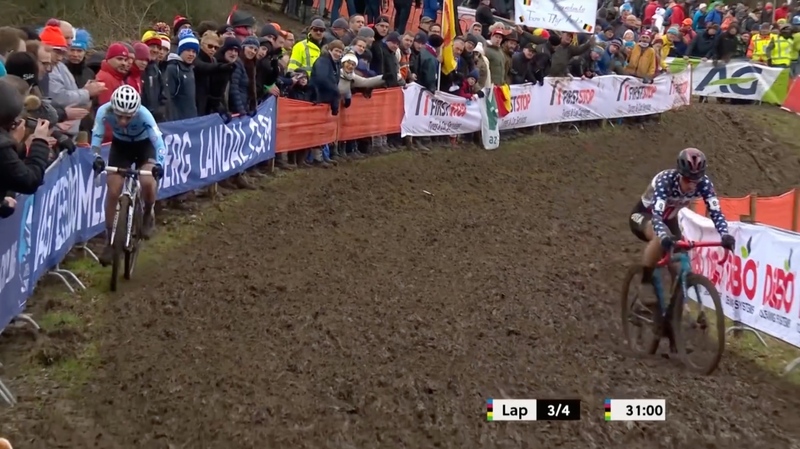 Fellow Belgian Michael Vanthourenhout took silver in the men’s affair, with pre-race favorite and reigning World Cup overall winner Mathieu Van Der Poel slotting a disappointing third. Full results for both races are available here. Check out more Race Coverage on RoadBikeReview. By the end the young Belgian had more than a 2-minute advantage on his nearest pursuer. 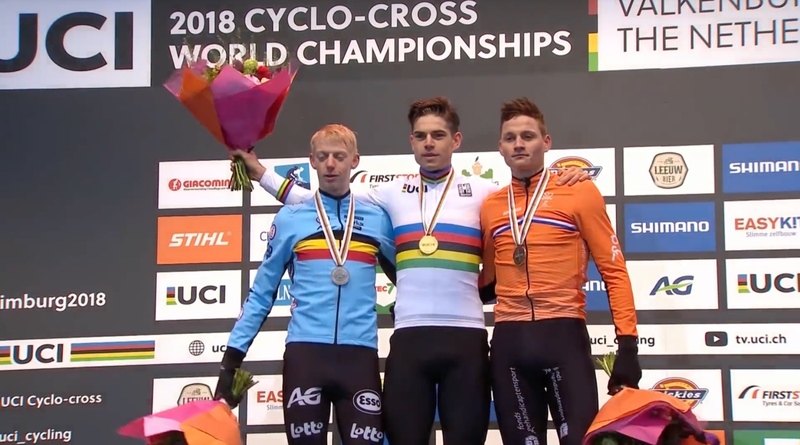 Vanthourenhout (L) was a surprising addition to the final podium. 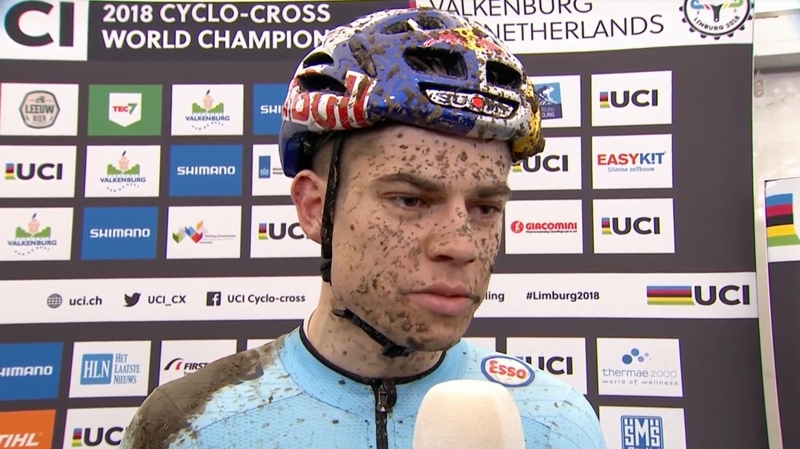 Van Aert called it one of the hardest races he’d ever done. 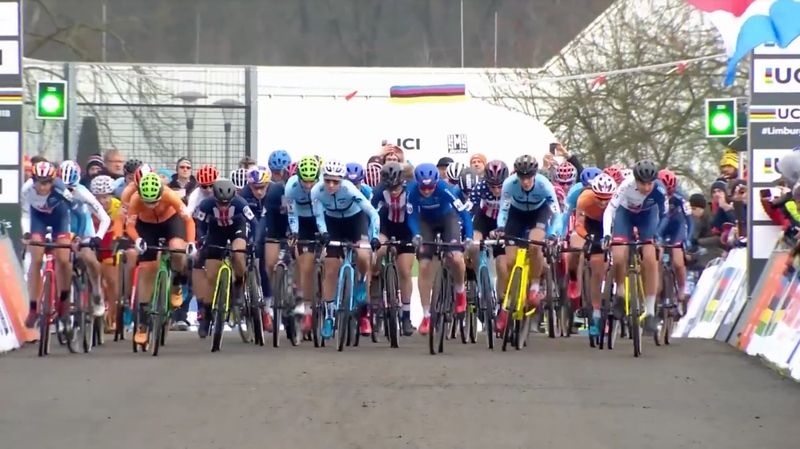 The 41-rider women’s field charges away from the start line in Valkenburg. When Cant made her move Compton had no answer. 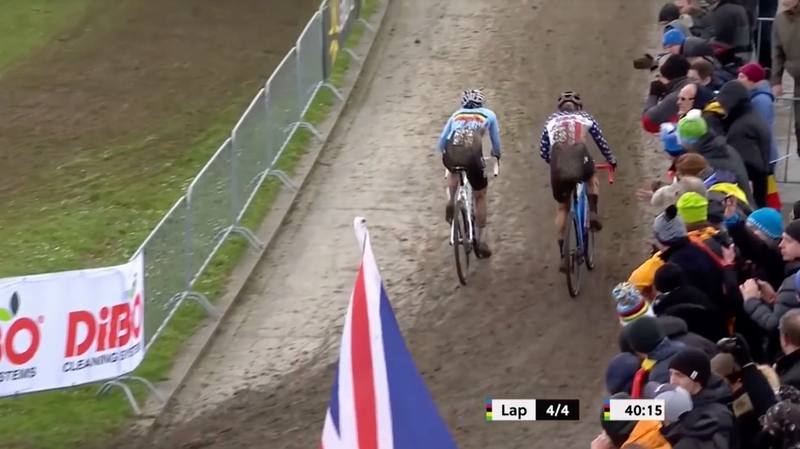 It was the fourth time Compton has finished second at CX world champs. The American has still never won the race. Where can I stream UCI races? They have a cycling package that includes the Tour de France and other big races, including cyclocross.